I hope you all had a great weekend! 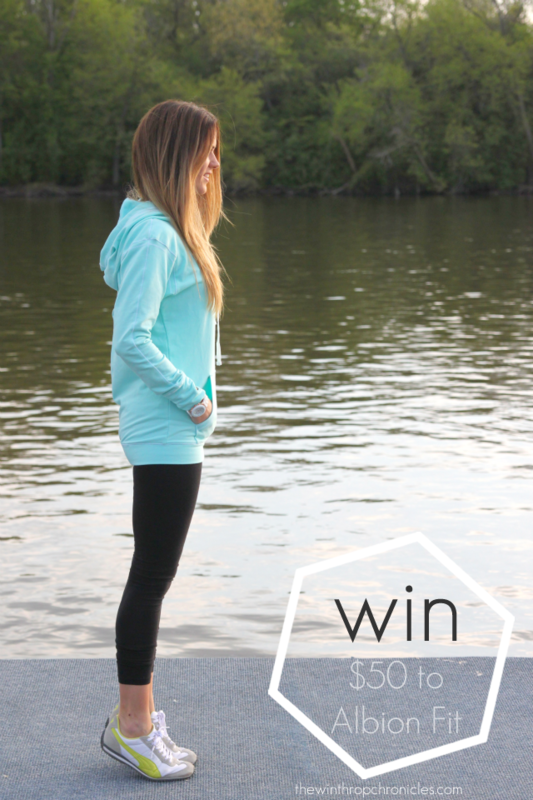 Today I have a giveaway for you from Albion Fit. They specialize in swim and fitness wear designed especially for women, by women. Initially, I was drawn to Albion Fit because of their large selection of modest swimwear. But I am in love with their fitness wear also. It transitions so easily to loungewear. And until our pool warms up and I spend most of my days in a swimsuit, I spend most of my days in workout wear or lounge wear. So you know I was just thrilled to be able to receive one of their products. This hoodie is made from the softest material imaginable. I love how long it is and the thumb holes. And it's made from a spandex blend so there is some stretch to it making sure it fits just right. Here are some of my other faves from Albion Fit. Albion Fit is offering each of you 15% off your purchase until May 25. Use the code Winthrop15 to redeem. And for your chance to win a $50 gift card, enter the Rafflecopter giveaway below.